With a growing number of coworking choices in Fort Collins, I wanted to revisit the topic of how to choose a coworking space. 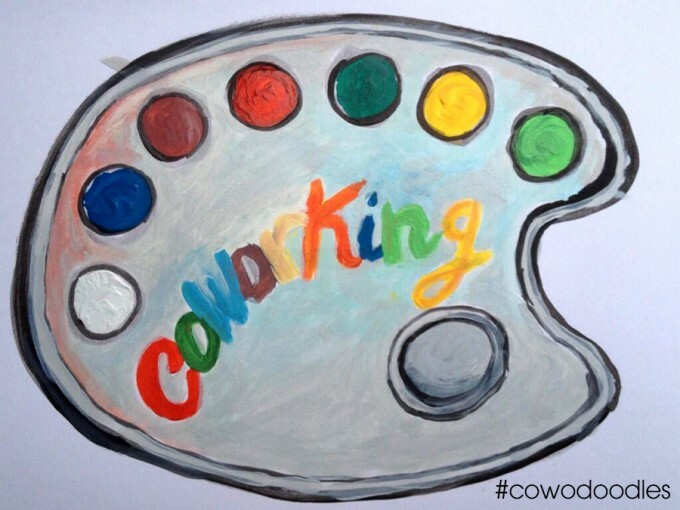 Like that artist’s palette pictured above, there are many different shades of coworking. Choosing a coworking community is about more than comparing lists of amenities or evaluating price. Anyone can set up desks and connect Wifi. But did they take the time to build a purposeful community? Are members encouraged to interact? Is there a spirit of collaboration and camaraderie, or do members pass like ships in the night? The answers to these questions will greatly affect your coworking experience. 3. Peruse the plans. A well-established coworking space offers a variety of membership plans so that you can choose the relationship that suits you best. Look for flexible contracts so that you can adjust your memberships according to your needs. No sense choosing a 12 month contract when you travel for 3 months every summer. Also be on the lookout for nights and weekend availability if that’s when you are most productive. Alright, now that we’ve got those tips out of the way, feast your eyes on a sampling of Fort Collins area coworking options on our fo(co)works alliance home page at http://focoworks.com.